Historically Black colleges and universities (HBCUs) have a long history of developing influential scholars and leaders. These institutions represent the foundation of African-American success stories through leaders such as Dr. Martin Luther King Jr., Thurgood Marshall and Toni Morrison. However, despite the increase of African-American students enrolling in college over the last 40 years, the number of students choosing HBCUs has decreased from 18.4 percent in 1976 to 8 percent in 2013, according to the U.S. Department of Education. Some experts suggests that the decrease in the number of Black students attending an HBCU is tied to changes or cuts to government financial aid, poor institutional leadership, negative perceptions and lack of equitable funding. Despite these challenges, HBCUs have continued to provide quality education for African-American students that is normally overlooked because of unfair comparisons to predominantly White institutions (PWI). Traditionally, mainstream media has elevated stories of Black students’ academic success when it is coupled with their acceptance or attendance at PWIs while ignoring equally impressive Black students attending HBCUs. For example, an increasingly common practice among media outlets is that they feature success stories of high-achieving Black students such as Augusta Uwamanzu-Nna, Kelly Hyles, Kwasi Enin and others who were accepted to Ivy League institutions. However, this same level of recognition is not conferred upon Black students who are equally academically gifted but decide to attend an HBCU such as Emmanuel Blake Dawson – who amassed over $1 million in scholarships and will attend FAMU – or when then 13-year-old triple major Stephen Stafford enrolled at Morehouse College, becoming the youngest enrollee in Morehouse’s 150-year history. Further, Black students often face ridicule and backlash when they choose to attend HBCUs in favor of PWIs. For example, Ralph Jones Jr., a former FAMU student, was criticized for his choice of an HBCU over Harvard University. This difference in recognition can imply that HBCUs are not recognized as places of academic excellence for Black students. However, stories that featured James Ward of Howard University focused more on his homeless status and less on his academic achievements or the prestige of Howard. To help counter the false narrative that often is bestowed upon HBCUs, these institutions should make it a priority to highlight their unique strengths and accomplishments as often as possible. One way is to make it more widely known that HBCUs, though only 3 percent of higher education institutions, constitute 10 of the top 20 institutions awarding STEM degrees for Black students, including 19 percent of science and engineering degrees and 33 percent of math degrees. Collectively, all of these examples help elevate HBCUs as models of student success. Creating a counter-narrative will require that HBCU presidents and faculty champion their institutions and engage various stakeholder communities to advocate on their behalf so that they are seen as models of success. Of course, other opportunities exist by using social media, which can serve as a tool for highlighting HBCU student success stories. With the increasing diversity of the United States, it is critical that HBCUs be seen as a viable opportunity for educating minority students. HBCUs have a strong history of developing future leaders and providing educational access to those who come from disadvantaged backgrounds, especially among students who are low-income and first-generation. Thus, it is important that the academic achievements are highlighted on a regular basis across all levels of public discourse within higher education so that HBCUs are viewed as models of success for future generations of Black students. Brandon C.M. 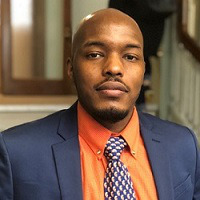 Allen is a doctoral student in the Department of Youth Development and Agricultural Education at Purdue University. 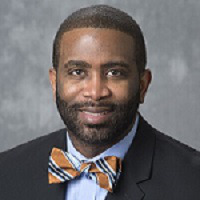 Dr. Levon T. Esters is an associate professor at Purdue whose research focuses on the STEM career development of women students and students of color. You can follow him on Twitter @Levon_Esters.